Meteors are commonly viewed as spectacular events in the evening sky. It has become part of human culture since man looked into heavens and appreciate its glory. But when meteors reached the surface of the earth, that changes things. 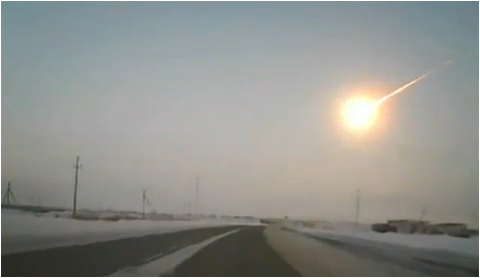 And that's what happened in Russia, early Friday (February 15, 2013) morning. A debris of a passing asteroid entered earth atmosphere undetected by space agencies. It was big enough to reach the earth's surface landing in Russian Ural mountains. A huge explosion followed shattering building glasses and injuring more than 1000 people according to recent reports. 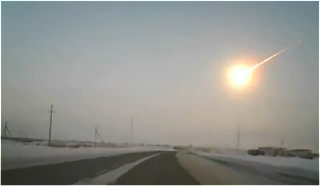 Amateur videos of the Russian "shooting star" are spreading in the internet. Here are some of them. My EBay Philippines Account Was Hacked! Finding Nemo 2 is a Go. Toy Story 4 is a No? Is February 25, 2013 A Holiday? Yes!